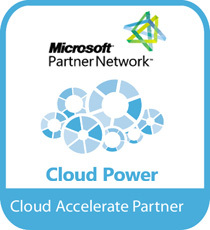 CompuTech Consulting is a Microsoft Cloud Partner Installation Charlotte NC. We provide Cloud Computing Services for Small to Midsize Businesses in the Charlotte Area. Whether moving to the Cloud or keeping IT on premises, we provide support, set up and training for Office 365 including Exchange On-line, SharePoint On-line, One Drive and Lync On-line (Skype for Business) for companies in Matthews, Mint Hill, Cornelius, Davidson, Huntersville, Lake Norman, Pineville North Carolina as well Fort Mill, Rock Hill and Upstate South Carolina. As one of the premiere Microsoft Cloud Partners in Charlotte NC, our IT Consultants & Engineers bring knowledge, skills and experience to improve your business IT infrastructure.